A couple of years ago, I was on a mad search for a book that would appeal to my then 7-year old son. He was going through a period where he didn’t like to read, and his attention span was so short that reading to him was not only a challenge, but pure torture for me. I knew I’d have to find something that would capture his interest so completely that he’d be glued to the story and beg me to turn the pages. 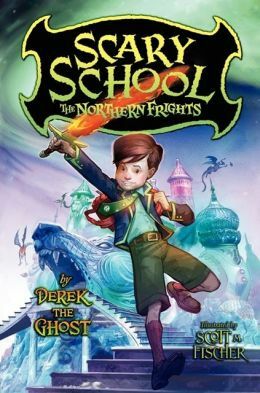 After an endless Google search using search words like “great boy books” and “hilarious chapter books for boys,” I kept stumbling upon one title over and over: Scary School by Derek the Ghost. Once the Scary School title had popped up for about the fifteenth time, I started to look a little closer at the title and found that it had received rave reviews from hundreds of different reviewers – both kids and adults alike. It didn’t seem to have a bad review, and so I took a leap of faith and ordered the book. The result: It was a complete hit! Not just for my son; but for myself…my husband…my teenage daughter…and eventually the entire 2nd, 3rd and 5th grade classes at Bamber Valley Elementary this past May when the school was fortunate enough to receive a personal visit from the author. We just couldn’t get enough! 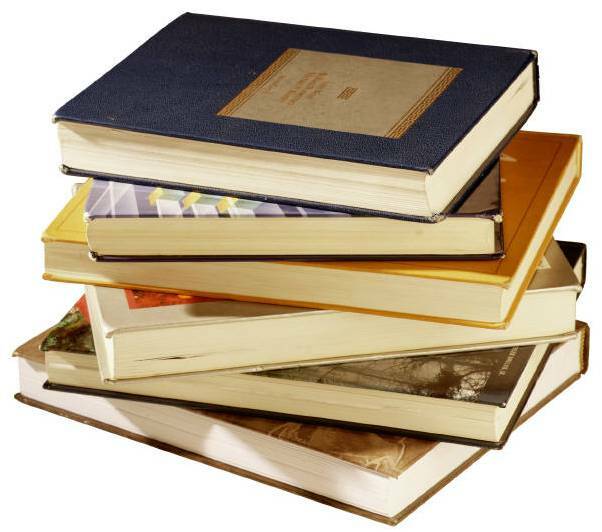 Teachers were reading to their students and enjoying the books; parents were reading to their kids; and kids who had professed a dislike for reading were literally devouring the book. The school library ordered several copies of the first two books and the wait-list to check them out was so long that the media specialist wasn’t sure they’d be able to get through the list even if they’d had another few months of school. The books were that good! After all, who could possibly get enough of a school run by monsters, where just making it to the end of the day without being eaten was considered to be a “good day”? Scary School is back, now with its third installment: Scary School: The Northern Frights. And oh boy are readers in for a treat! Fans of the first two Scary School books will see a return of their favorite characters: Charles Nukid, the newest kid at Scary School; Jason Borjees, a hockey fanatic who always wears a hockey mask and just happens to carry around a chainsaw at all times; Fred Kroger, who has razor-sharp fingernails and assumes that all-things-scary must be a dream; Petunia Petals (Yup! We learn her last name in this book! ), the purple girl with the endless swarms of bees; Dr. Dragonbreath, a ginormous dragon-teacher at Scary School who is simply biding his time until you break a rule so that he can eat you; and the painfully shy Penny Possum, who becomes so terrified that she plays dead to avoid confrontation. They’re all back, and they’re just as fun and colorful as in previous books. New in this book is Lattie the Ninja Girl, who is hands-down my favorite character of any of the Scary School books! Lattie was trained by a Ninja Master and is amazing! She’s brave, swift on her feet, and can catch a spitwad from across the room with just two pencils held in her hand like a set of chopsticks. And she’s wise, spouting off Zen-like advice reminiscent of the Karate Kid’s Mr. Miyagi. In this newest installment of Scary School, six students are selected in an exchange program to attend the scariest school of all: Scream Academy! The only human student to ever survive is Scary School’s own Principal Headcrusher, and the students will need to rely on their wits – and especially each other – to come out unscathed. Kids will love this book for the same reasons they loved the original two Scary School books: the characters are fantastic and the story-line is fun! Parents will love this book for the same reasons as their kids, but they’ll also find laugh-out-loud passages that carry inside-jokes that only parents of the 80s will get (i.e. Fred Kroger, Jason Borjees, and the spooky aspiring writer, Steven Kingsly). More than that, though, parents will like this book for the lessons that are hidden within. In order for the students of Scary School to survive Scream Academy, they’ll have to learn to work together. There are strong themes of friendship, not judging others by how they look, and – my favorite – not being afraid to stand up for your friends when they’re being teased or bullied. This title was released today and is currently on order at the Rochester Public Library (and already has 3 reserves!). Come back tomorrow for our exclusive interview with Scary School author, Derek the Ghost! Asking some of our questions will be 9-year old guest contributor and Scary School fan, Logan Ackerman. You won’t want to miss it! Summer is almost upon us and I am not sure what happened to spring. I somehow didn’t have enough time to read with all the gardening, travelling and packing, to say nothing of shoveling unexpected May snow. But planes are perfect places to read, so I have always loved summer travel. Cars invite audiobooks across miles. And of course, the chaise lounge on the back deck can take you so many places. Last week I ended up in Scotland, alternating between present day, WWI and WWII. Letters from Skye is the charming debut novel by Jessica Brockmole. Dear Reader, you will love this beautiful portrayal of old fashioned love in the time of war, the nuances of letter writing, the captivating period detail, and the two cultures (American and Scottish) which will stay with you long after you have turned the last page. I have always been a letter writer, an anomaly/anachronism more so with the passing to the electronic age. The graceful correspondence makes for easy reading and is punctuated with lovely humour, wit and passion. I loved the development of the realistic characters (I have a number of Scottish friends I recognised instantly) over the years but also through the eyes of other family members. I enjoyed being reminded of my Grandmother’s time, and also reminding me of how grateful I am to live in this time. 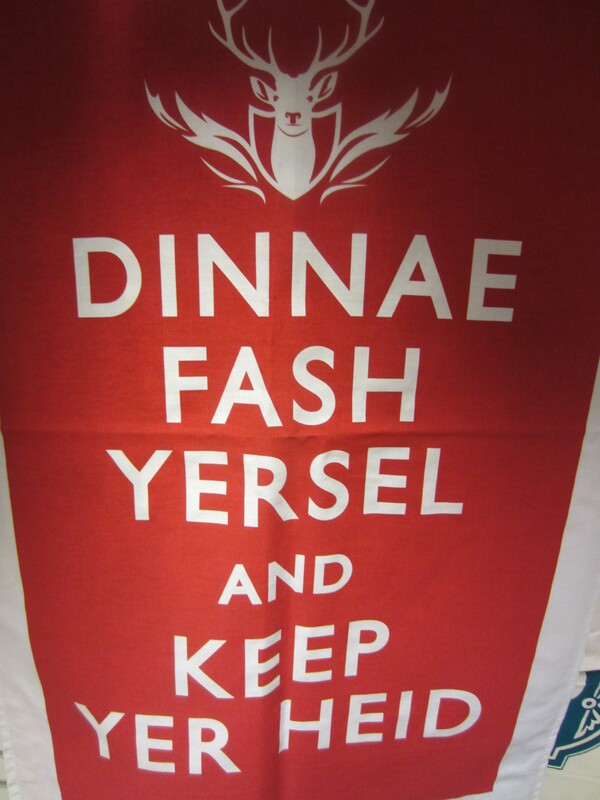 And of course, I want to go back home to Scotland now. Yes it has been compared with The Guernsey Literary and Potato Peel Pie Society (Mary Ann Shaffer and Annie Barrows), but it reminds me more of Jacqueline Winspear’s Maisie Dobbs, Julia Stuart’s The Tower, The Zoo, The Tortoise, or her Pigeon Pie Mystery and Mr Rosenblum Dreams in English by Natasha Solomons or Major Pettigrew’s Last Stand by Helen Simon (see previous reviews!). If you thought there was nothing new to say about dragons, here is a beautiful intricately crafted new kingdom, Goredd, where humans and dragons have tentatively, coexisted for nearly 4 decades. Dragons attend court in human shape as ambassadors, and are noted for their rational, mathematical minds which also suits universities as scholars and teachers. As the treaty’s anniversary draws near, tensions increase when a member of the royal family is murdered in suspiciously draconian fashion. Seraphina Dombegh has reason to fear both sides. An unusually gifted court musician, she is drawn into the investigation, partnering with the captain of the Queens Guard, the perceptive Prince Lucian Kiggs. While they uncover a sinister plot to destroy the peace, Seraphina must protect her own secret, the reason for her musical gift. For Phina is half dragon and half human and totally unforgettable. Most of the quotes are from the first half of the book, the pages flew and I was so absorbed in the story I didn’t interrupt it with anything. Magic quickly overtakes the reader. Dragons have no souls and must wear a bell in human form unless they are scholars. They have silver blood, no beards, a peculiar smell not normally detected by humans. They have sulphurous breath. The Music…was the answer to a question I had never asked, the way to fill the dread emptiness into which I had been born……My love of music eventually lured me from the safety of my father’s house, propelling me into the city and the royal court…I did not understand that I carried loneliness before me on a plate, and that music would be the light, illuminating me from behind. Her Uncle Orma had…the scholar’s exemption from the bell, so few people ever realised he was a dragon. He had his quirks certainly: he never laughed; he had little comprehension of fashion, manners, or art; he had a taste for difficult mathematics and fabrics that didn’t itch. It was good to see a dragon’s teeth. A dragon with his mouth closed was far more likely to be working up a flame. That seemed completely obvious…..Under the white winter sky the dragons looked rusty, a disappointing color for so fabled a species, but I soon realised their shades were subtle. The right slant of sunlight brought out an irridescent sheen in their scales; they shimmered with rich underhues, from purple to gold. The borderlands of madness used to have much sterner signage around them than they do now. We were friends; he just didn’t know it yet. ….He had a nose like a compass needle; it pointed with purpose. Viridius planned to rehearse us within an inch of our lives. I’d had more than my share of beautiful today. Tomorrow I’d give some back, restore and replenish the world.